Sunless spray tanning is a spray or mist application that is applied to your body, When applied, the DHA(the active ingredient in sunless solution) reacts to the proteins in the skins superficial layer to forma golden brown color. Your skin will begin to darken 2-3 hours after the application and reaches its peak color within 24 hours. The lifespan of your sunless application will depend on your body’s natural exfoliation process. Typically the skin will naturally exfoliate in 4-5 days. The color will gradually fade through natural exfoliation, just like a tan from the sun. 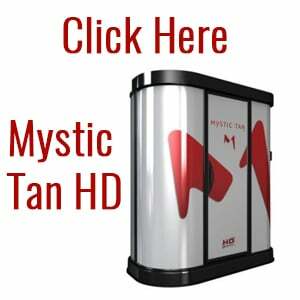 At Image Sun we have the most advanced sunless tanning equipment and lotions. This unique spray tan will transform your skin in minutes. It will bronze, hydrate and smooth fine lines. Image Sun understands the importance of consistent tanning results and how to provide a flawless, sunless experience. 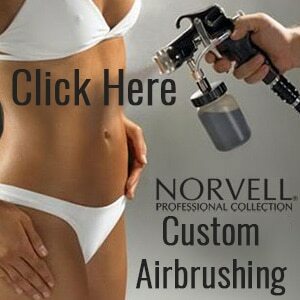 We provide our salon with two High End Sunless options. Remember: Keep Skin Dry for 6-8 Hours: Allow the DHA to develop. Wait 6-8 hours before showering, & avoid sweating, entering any water, or applying makeup.